Made by hands not machines. 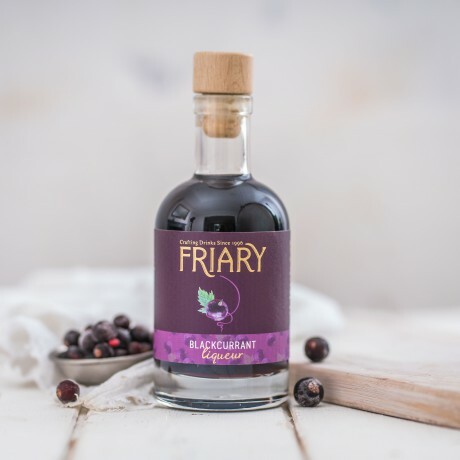 Every bottle is handcrafted with care by a family business in the West Country. Tipping towards the natural sharpness of blackcurrants on first taste, then developing into a full bodied rich drink. Serve in a port glass, it is the perfect natural accompaniment to creamy cheese. COCKTAIL RECIPE - The Hedgerow Martini Add 25ml Blackcurrant Liqueur, 25ml Vodka, 25ml pressed apple juice, 4-5 fresh mint leaves and 10ml Elderflower Cordial into a cocktail shaker with ice. Shake, then strain and pour into a martini glass.